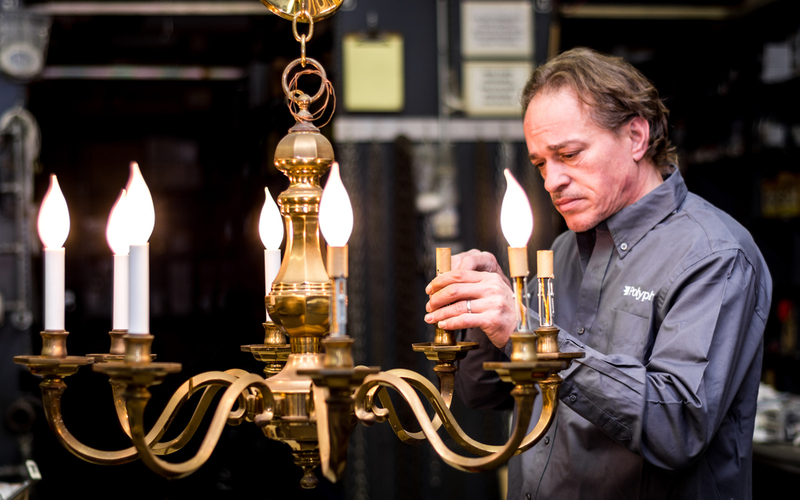 We are a non-union, professional electrical contracting firm that has served NYC and its surrounding areas since 1986, providing all types of lighting and wiring services for both corporate/retail and residential properties. Decades of experience working with a broad range of clients have given us the expertise to handle even the most difficult and sensitive of jobs, all while troubleshooting problems and maintaining city codes and regulations. Throughout the years, we’ve been involved in hundreds of large-scale projects with varying scope, from gut-renovating brownstones on the Upper East Side to LED-retrofitting TriBeCa lofts. Polyphase Electric, Inc. was founded in 1986 by Peter and Laura Stiefel, 2nd-generation business owners who understand the value behind high-quality work. In 1989, they hired their first employee and have been carefully adding to their team ever since. Polyphase’s reputation in NYC has grown to become one of unwavering professionalism, expertise, and outstanding customer service. Over the course of three decades, they've built and maintained a strong client base almost solely through word of mouth and recommendations.